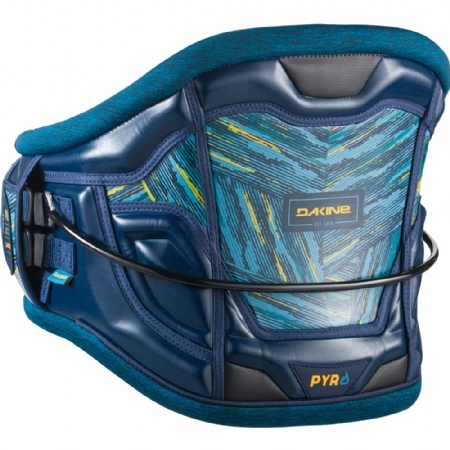 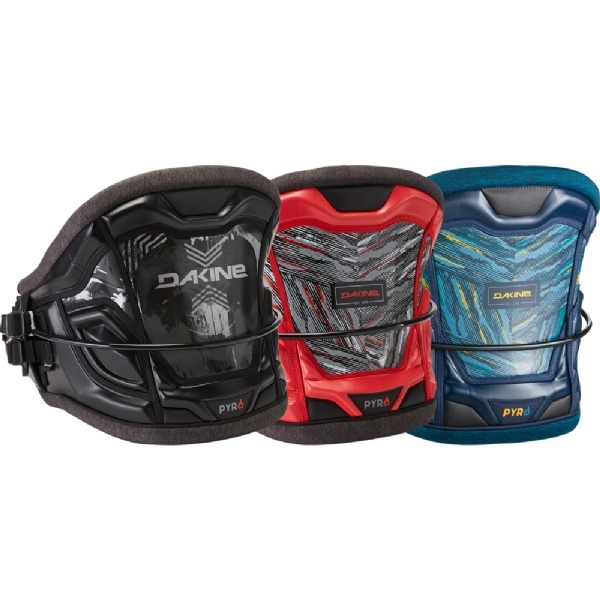 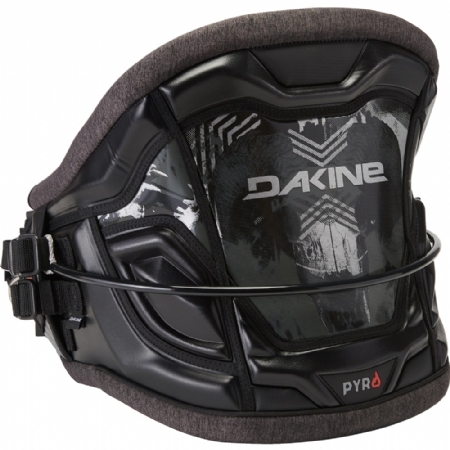 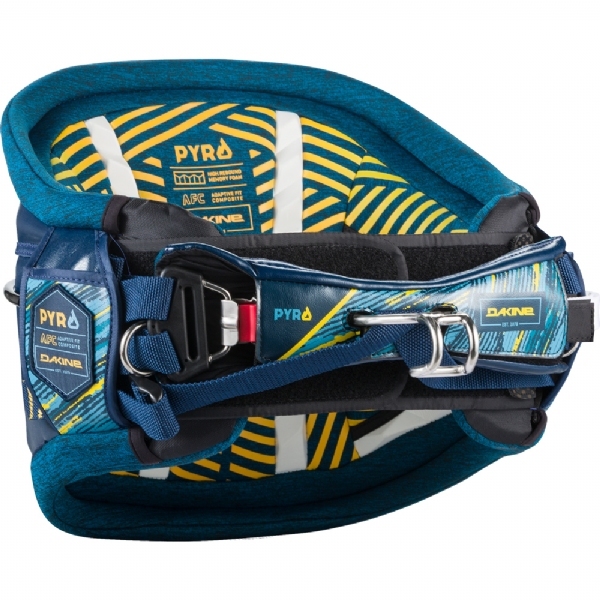 The Dakine Pyro kiteboarding waist harness builds on Dakine's long heritage to offer a fuller profile waist harness. 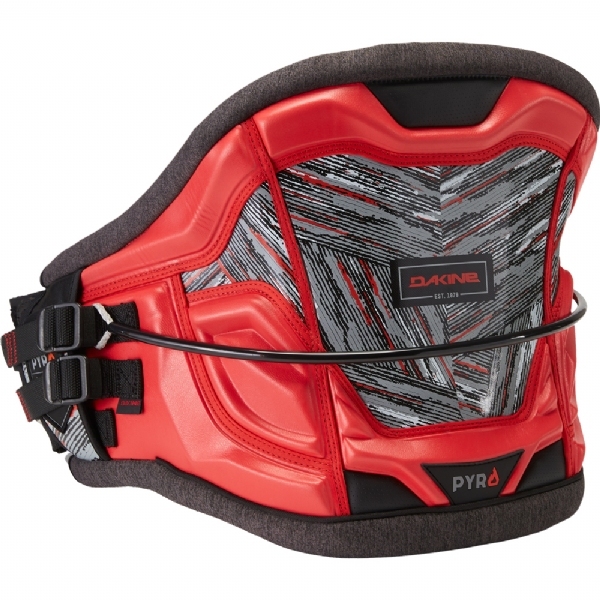 The Pyro features an Adaptive Fit Composite back panel with Texon counter/stiffener, which offers the ultimate responsiveness and an improved custom fit with every wearing. 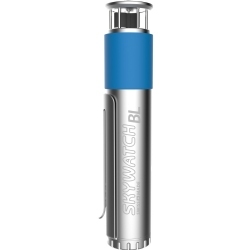 Fit is further enhanced with featherweight ES foam molded interior, a pre-curved P.E.B. 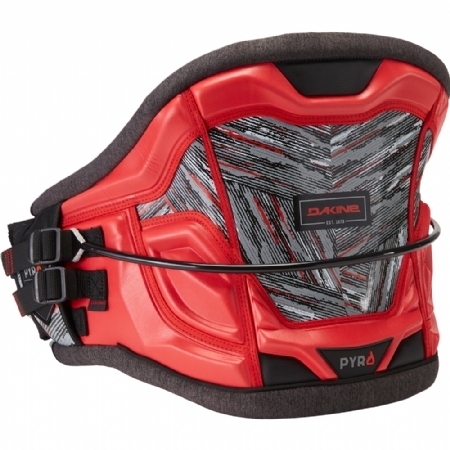 inner support structure and memory foam pressure point relief zones to keep you out on the water longer. The Pyro features the easy-connect/disconnect push button Hammerhead spreader bar and freedom shape spreader bar pad.